In the world of today where we live in an unnatural society, we sometimes forget that we are nature beings and that nature provided by our Mother Earth is our source, the source of life. When we get caught up in the rat race of today, we sometimes loose our connection with Mother Earth and that can leave us feeling that there is a hole inside ourselves that we cannot seem to fill, we become soulless. Nature is our teacher and we can use her creative power to be more creative ourselves and find balance. In order to connect to the energies and learning how to be aware of how you can interact with them, you have to develop a long life relationship with the natural world: the elements, the seasons, the moon, the planets, the devas and all nature beings. By connecting to nature you will connect better to your own nature. 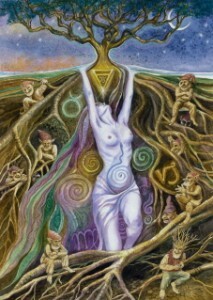 Nature magic means working with the energy of nature to make things happen. We all have it in us to be a Magician of nature, but to become one you need to develop your skills with training and experience. We have so much more potential! 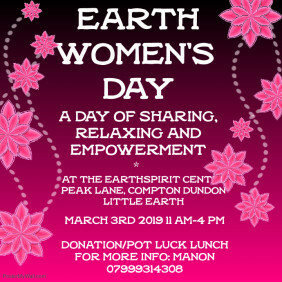 This year course will be guiding and supporting you on your individual path to find your own magical self and how to stay connected with Mother Earth. It is a journey of discovery to the magic of life itself. The focus is on practical exercises in nature and doing inner work. 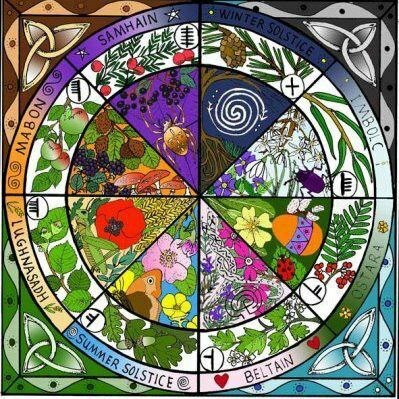 We will use the Celtic Wheel of the Year, rituals and traditions to support you in your learning process. Energy and inspiration will come from working with nature and following the wheel of the year, a natural cycle which brings more balance in your life as we are nature creatures. This course uses the Celtic Wheel of the year which follows the earth and her seasons in the Western Europe part of the world. If you live somewhere else where seasons are different – you can still do this course and follow the cycle that applies to your part of the world. It is all about working intuitively with the energy of nature and the seasons, wherever you may be. 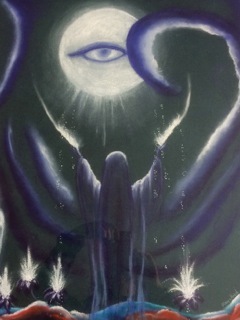 This Year Nature Magic course is an introduction to become an Earth Priest or Priestess if you should choose to be. The initiation is a special weekend that will take place here in Avalon itself – it is the next step after completing the Nature Magic year course. It is a separate option and is not included in the year course. The program will start with an introduction into the Celtic Wheel, her seasons and how to do ceremonies. You will the continue with the festival where we are at when you start the course. Just before the start of every new festival, you will receive the course material of this new festival to start preparing for the shift of the earth energy into the next phase of the cycle. At the end of each season, you will send me a write up of your experiences of that season and I will give you feedback on this. Before you start with the course, we will have a Skype session to get to know each other and to connect. You are not doing this course all alone, I am there to guide you through it by answering any questions you may have. I am an email, phone call or skype call away..